Short Description: Die Almal verstaan Geografie Leerderboek is ontwerp om die inhoud (kennis, onsepte en vaardighede) wat in die nuwe Kurrikulum- en Assesseringsbeleidverklaring (KABV) vir Geografie georganiseer is, te ondersteun. Short Description: Touch, Swipe and Go! A new way to experience learning. 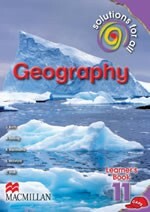 The Focus Geography Grade 11 Learner’s ebook is fully CAPS compliant. The ebook allows you to search for text, zoom in on content and create bookmarks and notes, on your tablet. Short Description: The Solutions for all Geography Learner’s Book has been developed to support the content (knowledge, concepts and skills) contained in the new Curriculum and Assessment Policy Statement (CAPS) for Geography.